This was a film that I really wanted to see ever since I saw the first trailer. The reason being that I was a fan of the actors as well as the director. Damien Chazelle’s previous film Whiplash also dealt with music, but in a different way compared to La La Land. I must admit that I am not a very big fan of musicals, so I was a little apprehensive before watching this. But after I saw the film, I had only one word to describe it, charming. At least that’s how felt it was. The basic premise of the film is one that a lot of people can relate to, especially those who are artists themselves. This is one of the reasons why a lot of people seem to love the film and that includes me as well. Even though I may not exactly be in the same boat as the protagonists are in, it is to the film’s credit that their journey affected me. To be honest, I was not able to find any real negatives in the film; maybe you will have a different opinion on this. Two of the principal reasons why the film works are the music and the cinematography. A lot of the shots are in the night but even then, the cinematographer, Linus Sandgren, was able to showcase the beauty of the ‘City of Angels’. Coming to the songs, I have to say they were quite memorable especially ‘City of Stars’, ‘The Fools Who Dream’ and ‘Another Day Of Sun’. I found myself singing along to some of them, and some of the mellow tunes made me contemplate the emotions of the characters. The fact that both the lead actors practised their singing as well as their dancing is evident on-screen. It comes naturally to both and never did it seem forced. It gives the audience a feeling of authenticity when we see their performances, and that is essential for the success of the film. 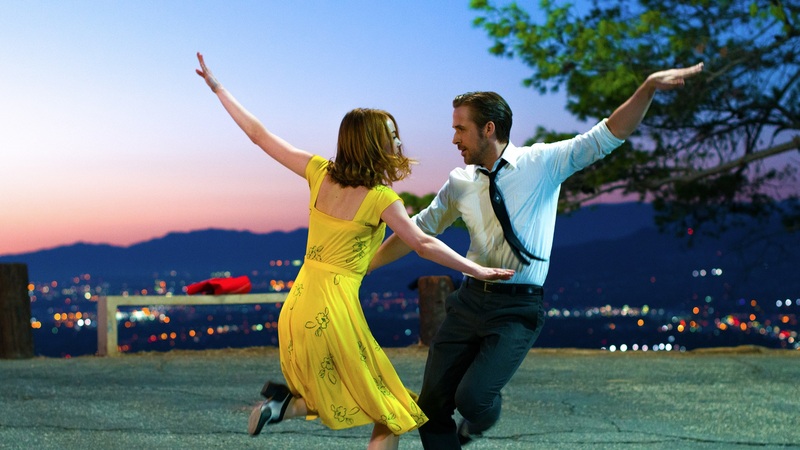 The first song and dance that Stone and Gosling share is a highlight of the film. The script by the director himself has moments of humour, dejection, elation, triumph, and contemplation among other ‘feelings.’ Damien Chazelle makes the film move at a leisurely pace, but never did I feel any sense of boredom while watching. On a personal note, La La Land made me want to see more musicals and I guess that’s an indication that the film made an impact on me. Even though the story is simple, it works because it is the story of millions, the story of the ‘dreamers’. Those who wish to follow their dreams despite the hurdles, whether they may be personal or professional. I feel that people across all ages will be able to connect with the film, and for that I would like to congratulate the cast and the crew. So, to sum up my experience, La La Land is quite an enjoyable ride and is Damien Chazelle’s ode to those who dare to dream.